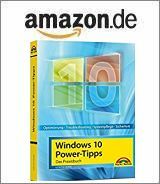 [German]On June 12, 2018 (patchday) Microsoft released further updates for Internet Explorer, Windows Server, etc. This blog post contains details of selected patches that are not included in the remaining articles linked at the end of the article. Microsoft closed 50 vulnerabilities in Windows, Office and other Microsoft products by May 2018 patchday, 11 of which were critical. At Talos you will find an overview of the critical security patches/vulnerability. Bleeping Computer has published an overview here. The complete overview of all updates from Microsoft can be found on this website. Some of the updates mentioned there are described in separate blog posts (see link list at the end of the article ). Update KB4130956: Security update for the remote code execution vulnerability in Windows Server 2008: June 12, 2018, closes CVE-2018-8136. Update KB4230450: Cumulative security update for Internet Explorer (9, 10, 11): June 12, 2018; several fixes; for the security only updates of Windows 7/8.1 and the server counterparts it is essential to install them. Update KB4234459: Security Update for the Windows kernel information disclosure vulnerability in Windows Server 2008: June 12, 2018; CVE-2018-8207. Furthermore, Microsoft has changed the metafiles of some updates (affected packages can be found here). The listed update KB4284848, however, does not seem to exist. This entry was posted in Security, Update and tagged Microsoft, Security, Update. Bookmark the permalink.